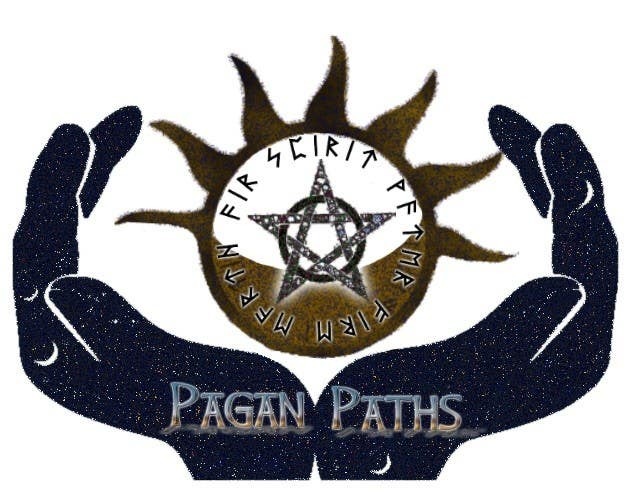 Hi, as a pagan myself, I will love to help in this project, Please let me know any concern or suggestion. Best Regards. I'm thinking of the path, it can be a photo, or a vector. one path to the simbol, or the symbol in the middle of paths. I'll work in that options if you let me upload other options, hoping you like it. Hi, can it be an autum path? I like the symbolism in the middle, but I imagined more of a winding path idea than hands.